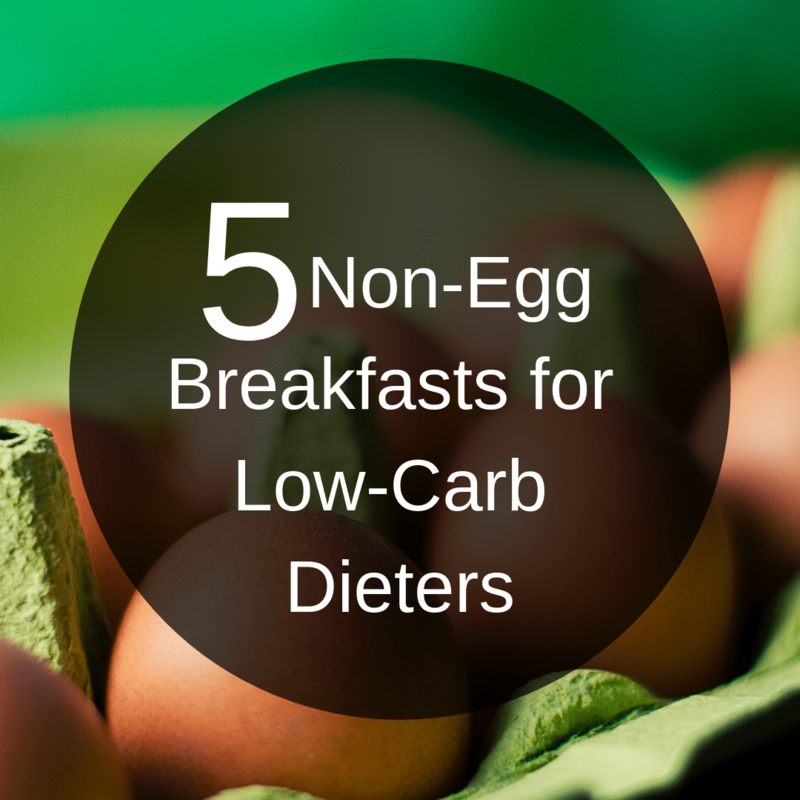 In this video, I walk you through how to make 5 healthy low-carb breakfasts. Each recipe is short, simple, and egg-free! Smoothies are a great non-egg breakfast and can be made to be low-carb with the right ingredients. 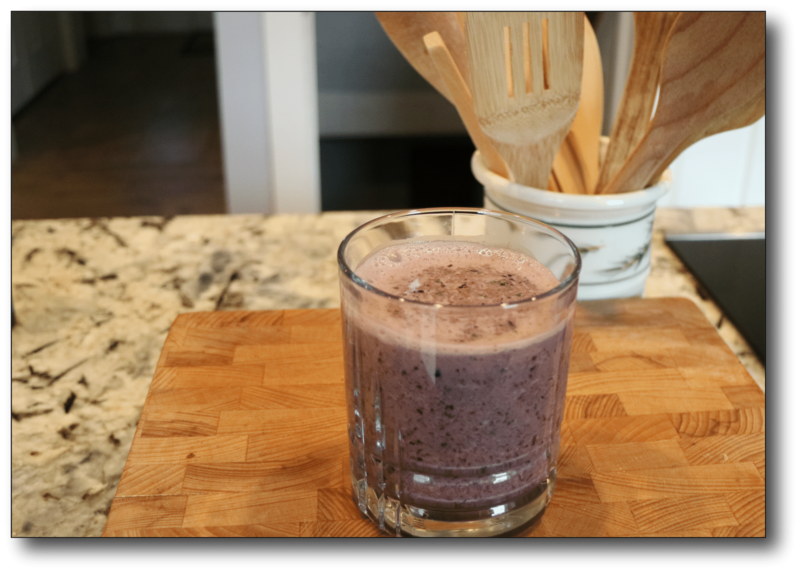 For instance, I made the smoothie pictured above with a handful of spinach, ½ cup (90g) of blueberries, and some heavy cream and hemp milk for the liquids. This recipe contains 12 grams of healthy carbs derived from whole foods. I gathered the 5 non-egg recipes together for you and you can download them by adding your name and email to the short form below. The download you’ll receive shares the ingredients with measurements in American cups and International units (i.e. grams and ml) as well as the nutritional facts (i.e. the amount of fat, carbs, and protein). Full-fat Greek or regular yogurt is a good choice for breakfast as long as there is no sugar added to the yogurt. In my experience, it is challenging to find full-fat yogurt with no sugar added, so I suggest that you look in the health food aisle of your grocery store. 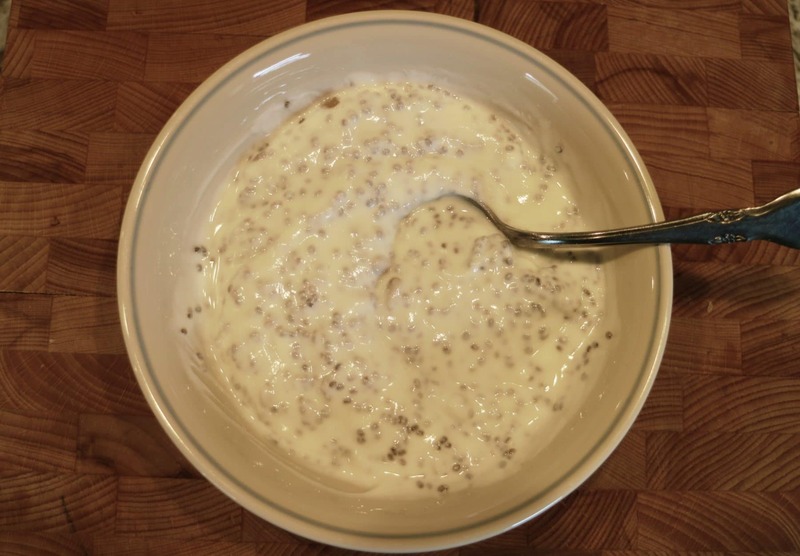 To make yogurt more of a complete breakfast, you can add seeds like chia seeds and raw sunflower seeds, which is what I did above. 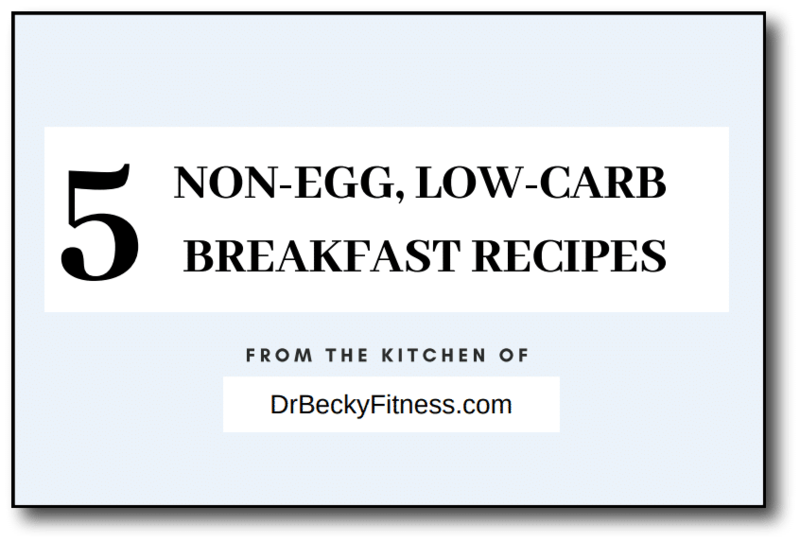 This non-egg breakfast has only 16 carbs, but those carbs are going to feed the healthy gut bacteria that are so important to losing weight and staying healthy, especially as we get older. I touched on the importance of gut health in my Losing weight after 50 blog post. Berries are a good, relatively low-carb fruits that can be used to add a bit of sweetness to your breakfast. If you need a bit of sweetness, you can add berries to this recipe, but that will increase the carbs. For instance, 1/2 cup (90g) of blueberries adds about 43 calories, 11 grams of carbs, and one gram of protein. As you may know, if you watch my YouTube Channel, I do not encourage the use of artificial sweeteners. But, if you need a bit to help as you move away from sugar, you won’t destroy this breakfast if you add a pinch of pure Stevia or something similar. If you’re looking for a warm breakfast, with the sweetness of berries, heat berries and cream on the stove or in the microwave and top it with nuts. Here I have berries in coconut cream and coconut milk, which are great non-dairy options. But, you could also use heavy cream and a type of nut milk in this recipe. 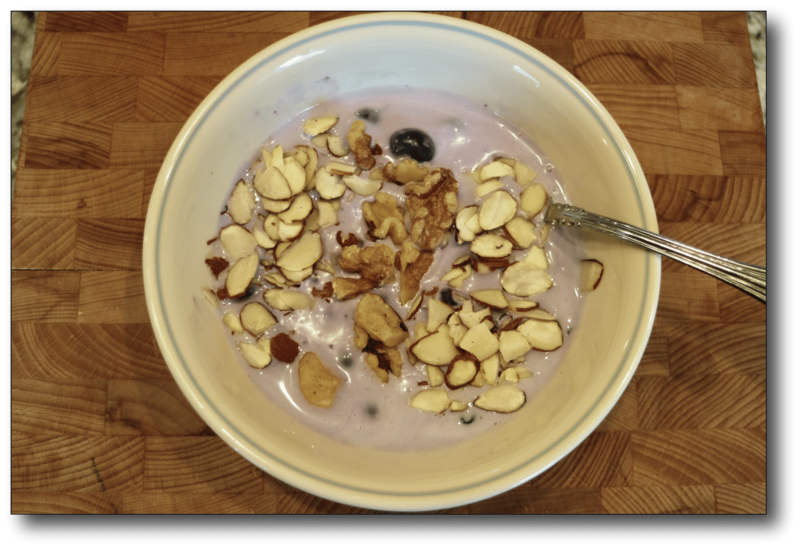 Simply heat berries and creams until they are warm, and then top it this with walnuts, slivered almonds, and shredded coconut if you like that taste. This recipe provides 34 grams of fat, 21 gram of carbs, and 6 grams of protein. 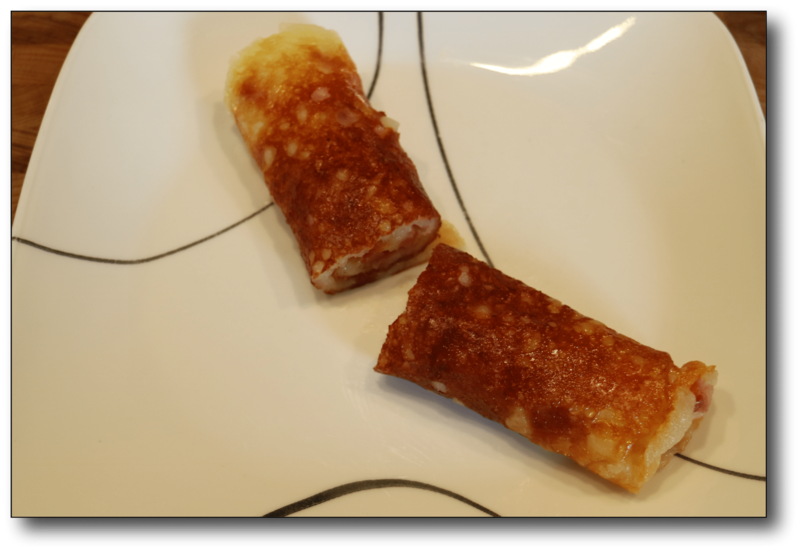 If you are looking for more protein or trying to follow a ketogenic diet, which is a very-low-carb diet, you can go with a simple ham and cheese roll-up. The recipe pictured above is simply mozzarella cheese that I melted in a pan with a few bits of cooked ham and that is it. Another keto breakfast idea that does not contain eggs is a keto-style coffee. 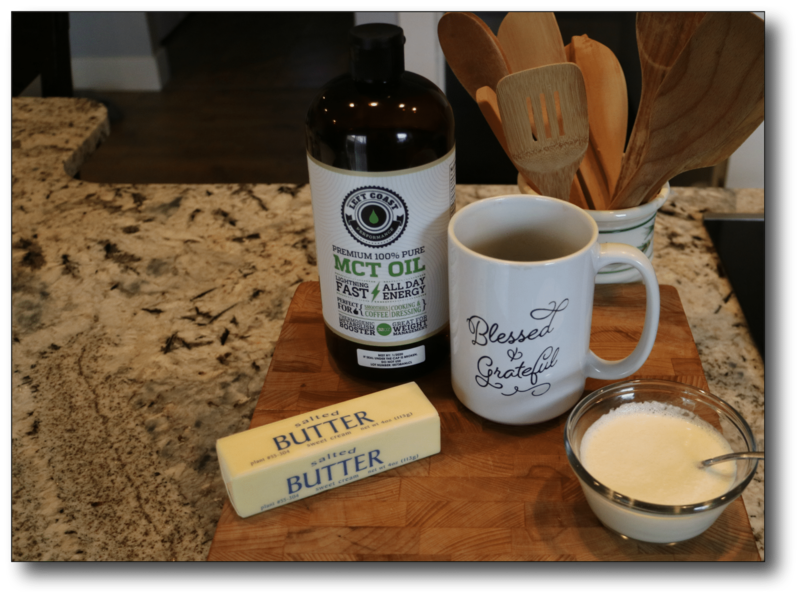 These types of fat-fortified coffees are popular among keto dieters and typically, made with a combination of MCT oil, butter, and cream. The high-fat content keeps you satisfied despite the fact that you are not consuming whole foods. I hope these 5 non-egg recipes help you enjoy your breakfast! You can download these recipes by adding your name and email to the short form below. There is no link to the recipes.